Take a little nibble on these artist opportunities. Of Note: The ART+BIO Collaborative, an educational nonprofit based in Cambridge, MA, offers various immersive, educational travel programs. This coming summer they will creatively explore the diverse wildlife of desert and tropical environments. Learn more. Filmmakers The Center for Independent Documentary is offering a free webinar with Jeremy Redman to uncover the secrets of affiliate marketing and how it relates to filmmaking. The webinar will take place on Thursday, April 25th at 12:30pm ET. Space is limited and spots will be given on a first-come-first-serve basis. Learn more and register. Questions, contact mira@documentaries.org. Call to All Studio Artists The Narrows Center for the Arts has studio space available for rent. Studios are accessible and affordable and include heat, air conditioning and Wi-Fi. The Narrows islocated on the Fall River, MA waterfront near major highways. Narrows gives studio artists a unique built-in audience of art and music lovers through its programming. Interested artists should send their portfolio and bio to publicrelations@narrowscenter.org. Call for Art The Brookline Arts Center is accepting entries for the exhibition New England Thread (June 14-July 19, 2019). Submitted works should explore the possibilities of art using natural or synthetic fibers and employing either traditional techniques such as weaving and knitting or more unconventional methods. Works can include garments, tapestries, sculptures and even installations that explore the materiality of this artistic practice. This show will be juried by Beth Mclaughlin, Chief Curator of Exhibitions and Collections at the Fuller Craft Museum. All artists residing in New England (Maine, Vermont, New Hampshire, Massachusetts, Connecticut and Rhode Island) are eligible to submit work. Up to six pieces of original artwork can be submitted. Learn more. Poets The Adrienne Rich Award for Poetry from Beloit Poetry Journal will be judged by Patricia Smith. A $1,500 prize will be awarded for a single poem. Learn more. Call for Visual Artists The Firehouse Center for the Arts (Newburyport, MA) is currently accepting proposals from emerging and established artists for its upcoming exhibition season. Artists will be selected by blind review for monthly exhibits from October 2019 – September 2020. The Review Board seeks bodies of work that can produce aesthetically coherent individual shows in their gallery space and, more broadly, a rich Gallery program offering a variety of mediums and styles. Learn more. Fiction Writers Entries are currently being accepted to the Raymond Carver Short Story Contest. Featuring prominent guest judges and offering $2500 across five prizes, the contest delivers exciting new fiction from writers all over the world. Learn more. Printmakers Artists are invited to participate in Galleri Heike’s annual Open Call Mini Prints Berlin. The artists featuring in this exhibition present a broad range of different graphics techniques and styles, covering traditional techniques such as woodcut, etching, and mezzotint, as well as exploring modern methods enabled by the digital development. Learn more. 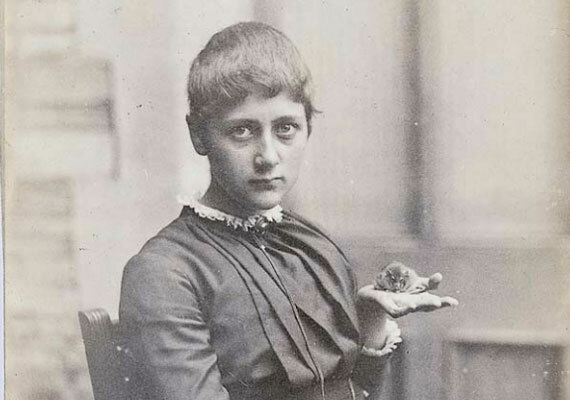 Image credit: A teenage Beatrix Potter with her pet mouse Xarifa, 1885, from Cotsen Children’s Library, Department of Rare Books and Special Collections, Princeton University.